Geboren und aufgewachsen in Yorkshire (UK), lebt seit 1980 in London. Studium der Philosophie, Freundin der Royal Photographic Society u. Mitglied von R.P.S. Contemporary Group distinctions panel. Unterrichtet Fotografie und leitet Workshops seit mehreren Jahren. Textveröffentlichungen u.a. in The Photo Show (B.B.C. Education), The British Journal of Photography, Inscape, London Independent Photography Magazine und The Photographic Journal. The Crystal Lattice: 1997 The Gateway Gallery, Shrewsbury / 1996 Thames Valley University, London / 1995 Brunel University, Uxbridge. 1994 Stones in her pockets (ACAW touring exhibition of women’s’ photography) / 1993 South Bank Photo Show / 1994, 96, 97 and 98London Independent Photographers Exhibitions, Barbican / 1997 Seven photographers and a poet, St. Martins in the Crypt / 2000 Countdown / The Oxo Gallery, London. Publikationen: Creative Camera, The British Journal of Photography, The Black and White Art Photographer and Inscape. 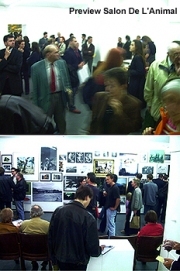 The Photo Show, (B.B.C. Education, 1995), Articles in: The British Journal of Photography, Inscape, London Independent Photography Magazine and The Photographic Journal.